Reputed as China's top film gala, the annual China Golden Rooster and Hundred Flowers Film Festival comprises the appraisal of the China Film Golden Rooster Awards and the Mass Film Hundred Flowers Awards. 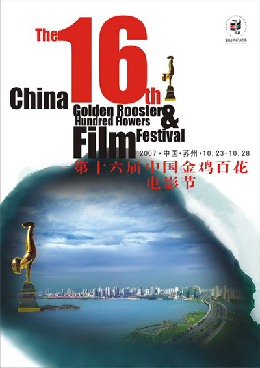 The two festivals -- Hundred Flowers Film Festival and China Golden Rooster initiated in 1962 and May 1981 respectively -- were unified into one national film festival in 1992. Besides the appraisal and awarding ceremony, the national grand event launches a series of cultural activities every year, including the appraisal of awards, the exhibition of Chinese and foreign new films, the academic seminars, the film trade fair, international cultural exchanges and entertainment performances. The festival is best known for its focus on academic fields, the extensive participation of the masses, and the unfixed host city. Approved by the central government, the China Film Golden Rooster Awards and the Mass Film Hundred Flowers Awards are two permanent national art awards, with a long history and a great influence in China film industry. Actually, these two awards are issued every year only except in 1990. Reputed as China's top film gala, the national grand event has the longest history and greatest influence. It launches a series of cultural activities every year, including the appraisal of awards, the exhibition of Chinese and foreign new films, the academic seminars, the film trade fair, international cultural exchanges and entertainment performances. The festival is best known for its focus on academic fields, the extensive participation of the masses, and the unfixed host city. The Hundred Flowers Awards were initiated in 1962. After the second awarding ceremony held in 1963, it had a break of 17 years until 1980. Then, it was held annually. The Hundred Flowers Awards consist of seven awards in five categories, namely Best Film, Best Actor and Actress, Best Supporting Actor and Actress, of which Best Film has three awards. Sponsored by People's Film magazine, which has the greatest circulation in China, the Hundred Flowers Awards only represent views of moviegoers. Hence, the awards are also called mass awards. Every year, the People's Film magazine issues votes to its readers and the Hundred Flowers Awards are produced according to the number of votes that each film gets.